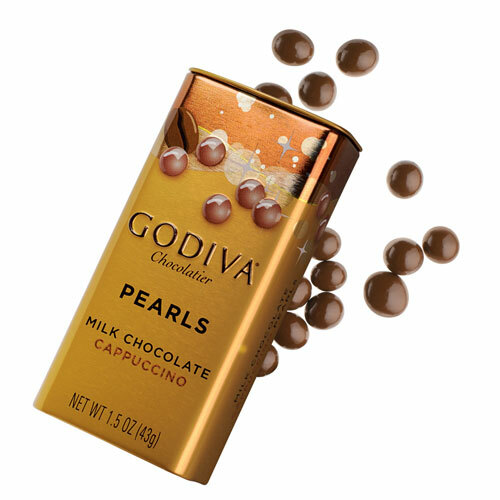 Godiva Assorted Chocolate Pearls are little confections of chocolate perfection. 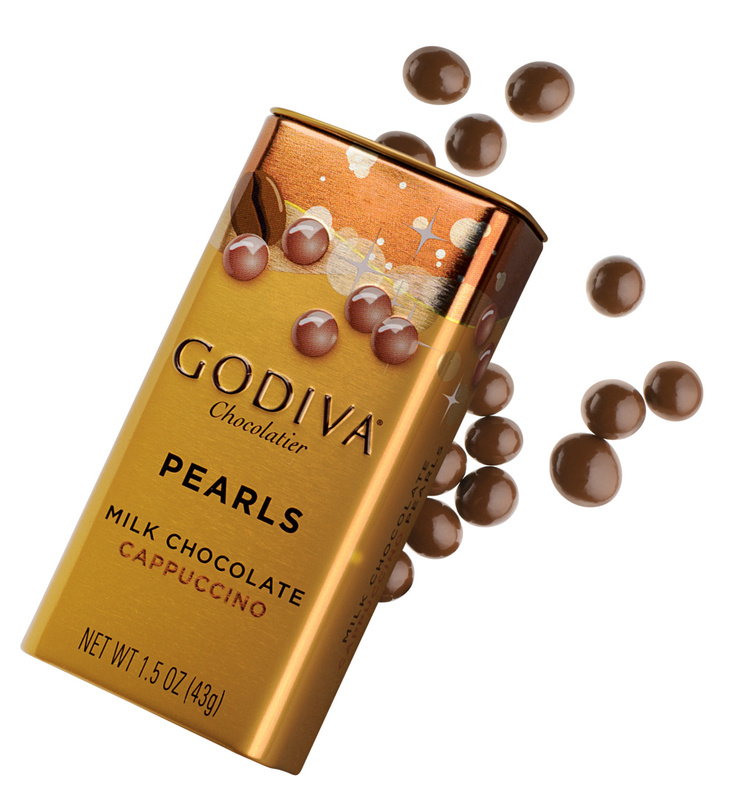 They Pearls are packaged in take-me-with-you tins so that you never have to leave your Godiva far behind. Ingredients: sugar, cocoa butter, full cream milk powder, cocoa mass, coffee, emulsifier (soy lecithin), natural vanilla flavouring, glazing agent (shellac). Allergy Advice:Contains milk and soy. May contain tree nuts, peanuts, eggs, sesame and wheat (gluten). Nutrition Declaration per 100g: Energy 560kcal - Total fat 35,3g - Sat Fat 22,3g - Trans fat 0,4g - Cholesterol 20mg - Available carbohydrates 52,8g - Dietary fibers 2,3g - Sugars 52g - Protein 6,4g - Sodium 76mg.